An estimated 45 million Americans suffer from chronic headache. Although medications can dull the pain, they don't address the root of the problem, and many patients are told they need to rely on drugs for the rest of their life to manage the pain. Chiropractic is a noninvasive, drugless approach that provides effective headache relief for thousands of Americans every year. At Chiropractic Care and Rehab Center, we've helped hundreds of Estero patients achieve lasting relief of headache. Cervicogenic headaches are characterized by pain in the back of the head emanating down the neck. These headaches originate with a dysfunction in the cervical spine caused by nerve damage, or injury to the joint, ligaments, and structures of the neck. Many patients with whiplash or neck pain after auto injury develop cervicogenic headache. Our Estero chiropractors will address these underlying disorders in the neck to provide effective relief of cervicogenic headache. A number of clinical studies have shown how chiropractic adjustments and exercise rehabilitation can alleviate symptoms of cervicogenic headache. Scientists are still uncovering the exact causes of migraine, and discovering new methods of migraine management. Recent evidence suggests that chiropractic spinal adjustments can reduce migraine symptoms. In one study, 50% of patients under chiropractic care had significant reductions in headache frequency, disability, and medication use. Nearly a quarter of those patients experienced 90% fewer headache after receiving chiropractic care. Using a combination of chiropractic, massage therapy, and exercise rehabilitation, we've helped many Estero patients overcome or reduce their migraine pain. 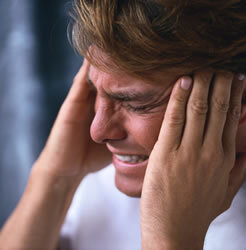 Tension headaches, often caused by muscle spasms or stress, are one of the most common chronic headaches. Relieving muscle tension is key for reducing tension headache. We use massage therapy, stretching, exercise, and chiropractic adjustments to achieve just that. 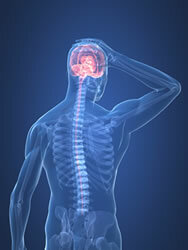 Our Estero chiropractors can work with you to identify headache triggers like stress, nutrition, or work injury. Chiropractic adjustments have been shown to assist the body's response to stress, and may be useful in stress management to prevent headache. If you live in Estero, FL, Dr. Christopher Green and Dr. Michelle Giroux can help you find long-term headache relief. Call Chiropractic Care and Rehab for effective headache treatment today, at (239) 495-1166. Bodes-Pardo G, et al. Manual treatment for cervicogenic headache and active trigger point in the sternocleidomastoid muscle: a pilot randomized clinical trial. Journal of Manipulative and Physiological Therapeutics 2013; doi 10.1016/j.jmpt.2013.05.022. Tuichin P, et al. A randomized controlled trial of chiropractic spinal manipulative therapy for migraine. Journal of Manipulative and Physiological Therapeutics 2000; 23(2): 91-5.